It is not a lack of interest from consumers that keeps residential solar sales from going gangbusters. What is holding contractors back is an inability, for many, to close the deal. As a solar panel contractor, whose attention to detail is a source of pride, you understand the importance of conveying your professionalism to potential clients. But in an industry that is expanding rapidly and becoming increasingly competitive, work ethic and craftsmanship alone do not translate into sales. Todd Stafford, senior director at the National Joint Apprenticeship Training Committee (NJATC) told cleantecnica.com that, “It is not due to a lack of interest from consumers that keeps residential solar from going gangbusters.” What is holding contractors back, he insists, is an inability for many to close the deal. That’s why contractors aiming to convince prospective customers about the value of solar should focus on these six basic sales tips. Identifying potential clients for solar is critical to the sales process. While word-of-mouth recommendations and advertising can help you target potential clients, a comprehensive solar sales app like Solargraf, that provides a pool of high-quality, call-verified leads in a specific area, is the easiest and fastest way to facilitate sales. While cute and generic sales pitches might hit the mark when selling vacation plans or used cars, home-owners choosing solar are making a substantial financial investment and are less likely to respond positively to frivolous sales patter. And when you consider that clients may have worries about the impact and disruption that the installation process may have on their home and lifestyle, it is easy to understand why sincerity and transparency are essential to gaining the confidence of the consumer. That means the less complex the consultation, the less likely you are to plant seeds of doubt in your client’s mind. So rather than relying too heavily on a long-winded script, aim to be knowledgeable, and conversational. That kind of give and take approach will provide you with insights into what a customer is looking for. As a consequence, not only will your expertise be highlighted as you provide specific solutions that cater to a client’s individual needs, it will also establish a foundation of trust that a scripted sales pitch may not offer. It may seem like a small detail, but it is a crucial one! Most couples do not make major renovations to their homes without the consent of both decision makers. So if you’re dealing with a couple, arrange your consultation with both of them. 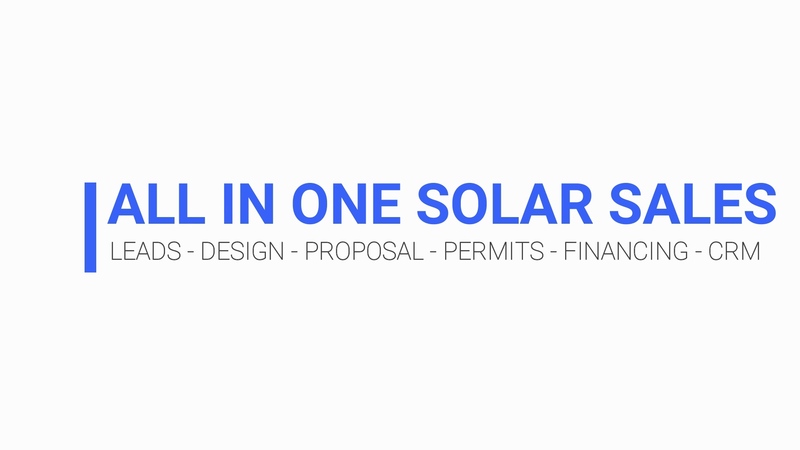 If a solar installer can not provide an accurate quote in a reasonable period of time, they risk losing a potential client to a competitor who is more prompt and seemingly efficient. That’s another reason while Solargraf is such an effective sales tool. This unique software integrates the highest quality HD imagery through partnerships with Nearmap and Eagleview to generate the exact layout, direction, and measurements of a homeowner’s roof, ensuring a prompt and accurate quote within minutes, allowing contractors and homeowners to view, negotiate, edit and update quotes in real-time. Your craftsmanship is your calling card. Whenever you secure a solar installation contract make your presence be felt. Pass out flyers in the neighborhood. Put up a sign on the front lawn of the work site. It’s a golden opportunity to advertise your professionalism and attract new clients. By incorporating these six basic sales strategies, solar panel contractors will maximize their potential and increase their share of this growing market. The next instalment in this series will offer tips on how to maximize the effectiveness of selling solar door-to-door. Article by: MJ Stone for Solargraf.